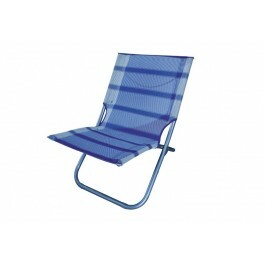 Folding chair with a high and ergonomic backrest for perfect support of the lumbar spine. Adjustable to 5 different positions, front with vaulted seat for perfect sitting comfort. Aluminium frame, armrests made of plastic. Cover: Iso BatylineΒ®.